hejhej-mats is the result of two students having an idea inspired by an art exhibition in Sweden. 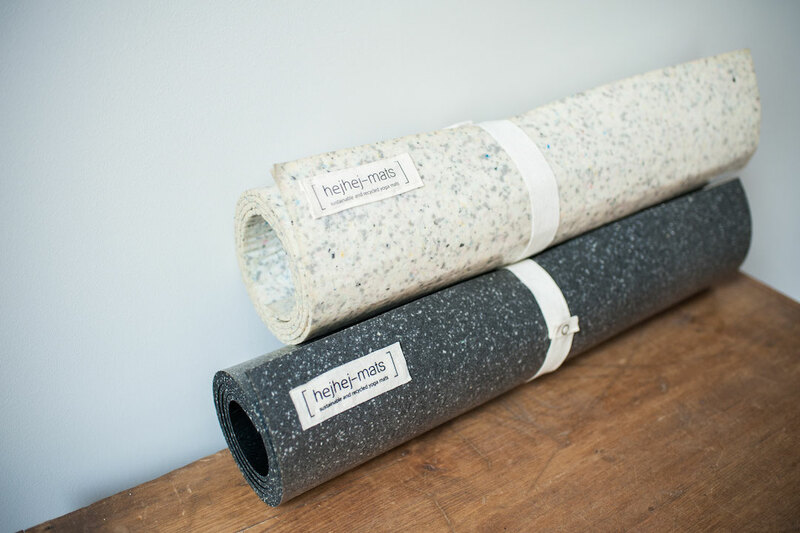 During our Master degree, we used all the time we had to work on our idea of creating a fully sustainable, high-quality and simply the best yoga mat we could imagine. After graduating last summer we decided not to take a full-time job which would have probably been the easier way but we wanted to go for it and put all our efforts and resources into our sustainable start-up. We worked with a lot of experts, made various prototypes, conducted tests and implemented adjustments. However, since our goal was to try to produce the best yoga mat in terms of quality and sustainability, we decided to go with a quite complex production method. In the end, we are really happy and proud of our final product and all the effort was a 100% worth it. Since hejhej-mats did a crowdfunding campaign at the beginning of the project, all the financial calculations had to be based on approximate numbers and estimations without really knowing the final production method. However, this was one of our most important and personal sustainability standards so we did not even take into consideration to relocate our production to Eastern European or Asian countries. Now, at the end of our product development, we had to face higher production prices which forced us to slightly raise our sales price to 129€. Why are hejhej-mats now more expensive than initially thought? Producing a product in Germany is really really expensive but for us the right thing to do. We are really proud to have a product a 100% made in Germany and we want to remind you to keep the origin of a product in mind when making future buying decisions. 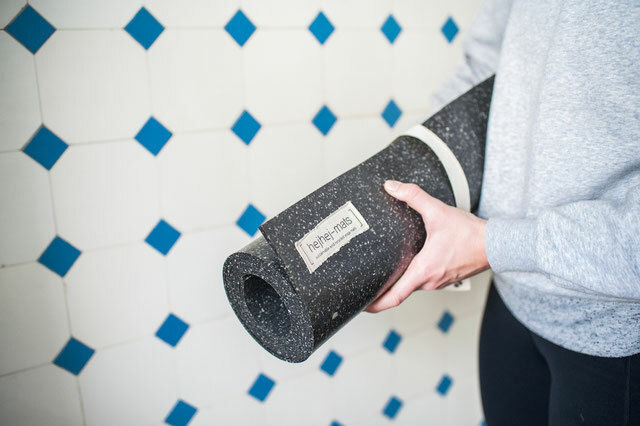 A newly elaborated and more compliacted production method enabled us to raise our product quality so that we can guarantee you a really comfortable and slip resistant yoga mat. hejhej-mats is a really young and small start-up which is not able to produce in large scales. The good news is: we still want to give you the chance of buying your hejhej-mat for 119€. That means that you can still pre-order your own sustainable yoga mat until our official product launch day on the 8th of July for 119€. It is really important to us to communicate this in a transparent way which is why we did not simply raise our price but explain you our reasons here in this blog post, on social media, and in our newsletter. We are really happy to have so wonderful and understanding supporters who all care about our people and our planet.